Finally, a simple and networked platform on macOS, iOS, tvOS and watchOS. 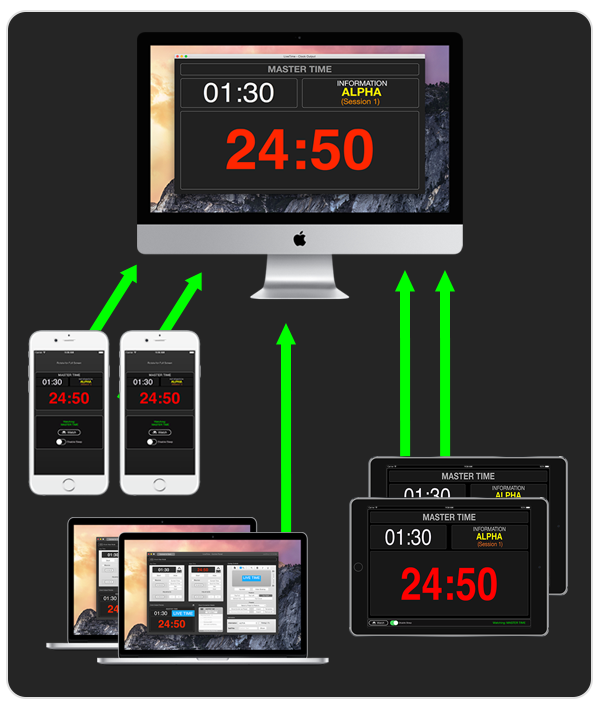 With apps on your iPhone, iPad, AppleTV and your Mac to keep your team on the same time . Present two different timers, in different colors as well as simple messages. When does this thing begin? Simply give a countdown or message to all your event leads. Powerful multi-server features to have multiple sites looking at one specific timer with support for a local differences. Download the free macOS app from the Mac Appstore. Connect to a server with self discover, IP, or hostname. Or, turn on your own broadcasted server with an in-app purchase of $5.99/mo or $59.99/year. *Try free for a week! For minimal cost, get LiveTime Viewer for iOS, tvOS and watchOS to connect to your server. 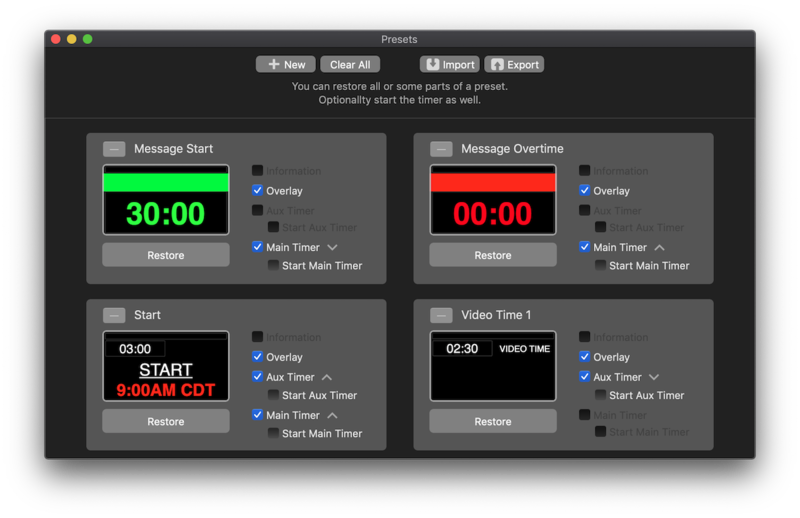 Additionally, you can simply connect another LiveTime on the Mac to control or just to view. Download the apps and learn how to take advantage of the LiveTime family. ✔︎ Emoji Support in Overlays. Watch tutorial videos and discover many of the advanced features. Have a specific question or a comment? Reach out to us and we would be glad to help.